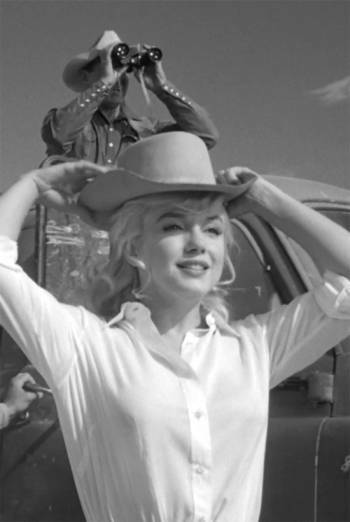 THE MISFITS is a 1961 drama in which a divorcée falls in love with an older cowboy. A cowboy attempts to chase down a horse by lassoing it, but is dragged behind the animal and sustains bloody injuries. There are other scenes in which both humans and animals are threatened with injury in the context of horse wrangling. However, there is no evident animal cruelty on screen. There is very mild bad language ('hell', 'damn'). There are references to horses being hunted and killed for dog meat.